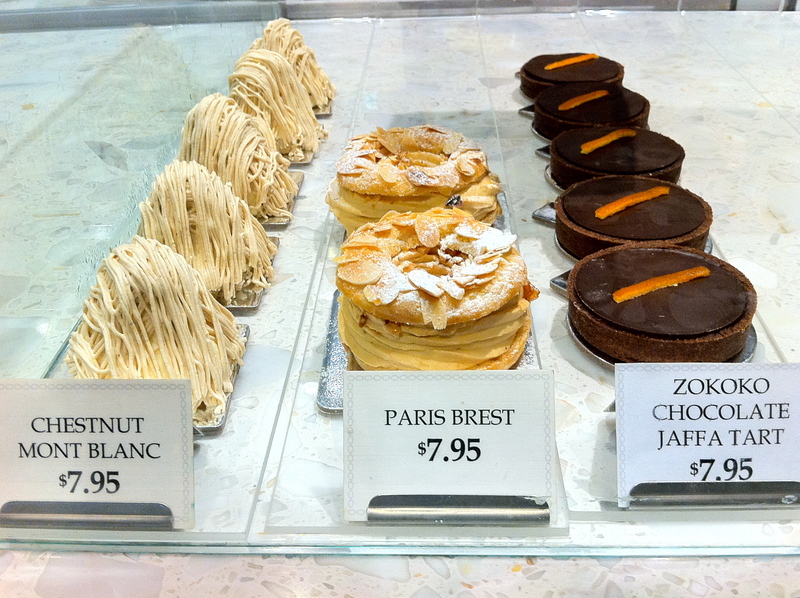 Thanks to Sydney’s Westfield City being so huge and labyrinth-like, it’s easy to turn a corner and stumble upon something exciting – like the Becasse Bakery located on the level of the food court, right across from the bathrooms. 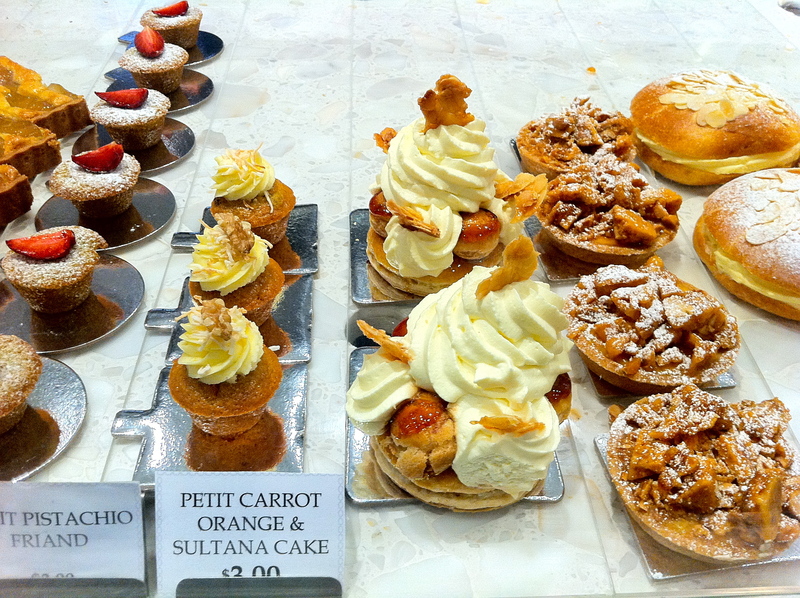 It’s near the entrance to the restaurant, and consists of a long counter filled with decadent French pastries and treats …. When presented with such an array of deliciousness, rather than make a decision, I’ve taken to asking the staff what the most popular item is. The girl behind the counter recommended the banana and toffee nut tart (pictured above, right), which apparently sells out so often in the morning rush that they’ve started to make double quantities. This turned out to be a great choice. A French version of banoffee pie, the pastry case is filled with a vanilla bean and banana custard and topped with sticky caramel covered walnuts. If this was reviewed on masterchef I’m sure George would say the textures are the hero of the dish – it’s creamy, gooey custard, flaky pastry and crunchy, buttery toffee all at once. Yum! 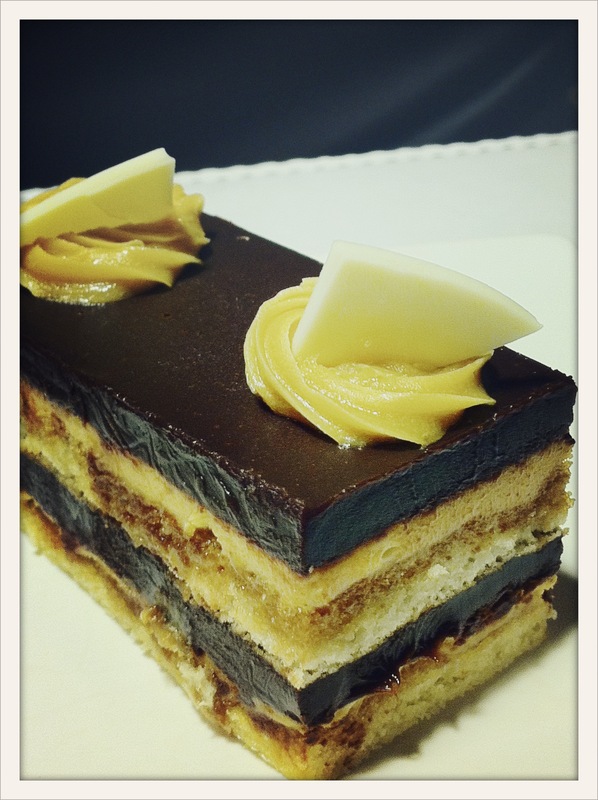 Ben tried the Opera Cake and gave it a big thumbs up. This kind of cake is not my cup of tea at all but I had to admit it did look pretty impressive. 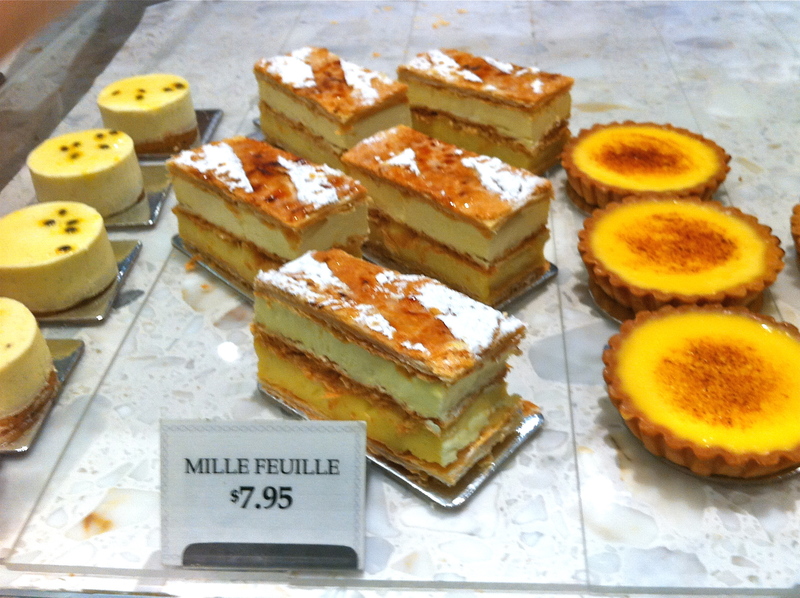 This entry was written by prettyprettyyumyum, posted on September 22, 2011 at 12:15 pm, filed under yum yum and tagged becasse bakery westfield city sydney. Bookmark the permalink. Follow any comments here with the RSS feed for this post. Post a comment or leave a trackback: Trackback URL. OMG. 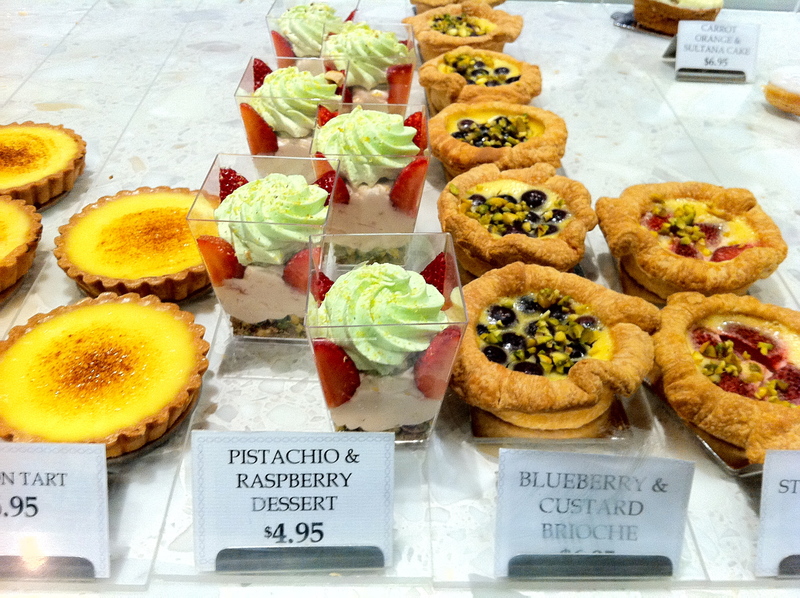 The one sitting right next to the banana and toffee nut tart looks spectacular. You didn’t stop at just one did you? A French version of Banoffee! Awesome. Love it when twisty turns send you somewhere rewarding for your sweet tooth.